RC Radio: The Towers @Chokmah, additional comments. One of the things Chokmah is known for is to turn knowledge into wisdom. This knowledge to wisdom shift helps add to your spiritual strength. 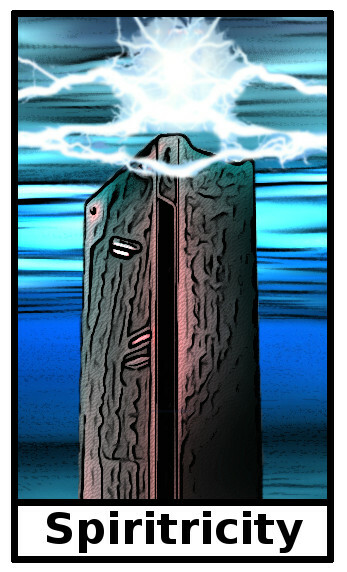 Thus the energy of the Hermit Tarot card is very strong here. The Hermit symbolizes knowledge which has been converted over time into wisdom by the physical reality process. Seeing the result of your reality creating over time brings about a very special kind of wisdom that you really cannot get anywhere else in the Cosmos. 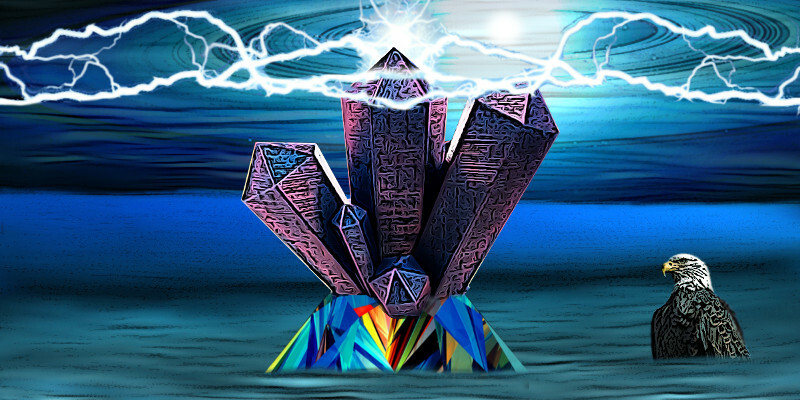 There are three electrical towers in Chokmah to help stabilize the spiritual current into physical reality and you can travel to each one. The atmosphere here is charged with electricity because Chokmah takes the raw energy of Spirit coming from Kether and steps it down into a form that can be used by realities that exist below the Abyss (the Abyss separates Kether from the rest of the Tree of Life). If you look into the sky, you will just about see the Kether Pulsar. Here you are close enough to begin seeing this wondrous sight, the importance of which you will fully realize once you enter Kether. The Towers here correspond to the Enochian formula of the VOVIN. VOVIN means: The mighty wings of the Eagle that carry you through the void. The energy of VOVIN [pronounced vo-vin or vo-vee-en] raises your spiritual vibration by turning knowledge into wisdom through experience. The highest order of the VOVIN is an individual that has earned the rank of the Dragon. Dragons have turned most of their innate knowledge into wisdom. If this is your first visit to here. 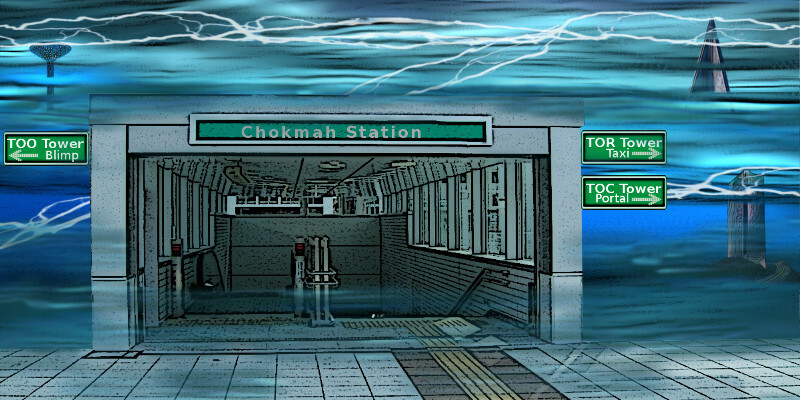 Each tower is reached by using a different form of transportation, once you get to Chokmah Station from the HAS nonphysical subway system. TOR tower has a road that reaches it and you can take a Taxi, car, or motorcycle to get there. TOO Tower has a Blimp service that will ride you to its tower. Finally TOC tower uses a portal or gateway to get you to its entrance. 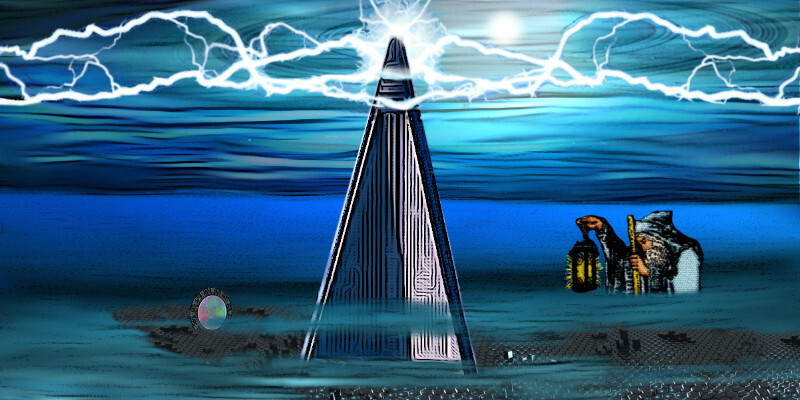 TOR Tower (tower of reflectivity): TOR stands for “Tower of Reflectivity.” Its job is to reflect back to you your spiritual state of being. It is a test of the strength of your spirituality. Sometimes you may want to know your spiritual state and this place can help you with that. To test your spiritual strength enter TOR Tower. You will be tested in some way that will help you to gauge your progress. You may also meet Archangel Ratziel, who can bless you with spirit and make suggestions to you to improve your spiritual strength. The Hermit energy is here, so you may also meet him in some form. Feel free to have a chat with the Hermit. The Hermit excels at giving patience, a necessary character trait in your spiritual evolution. 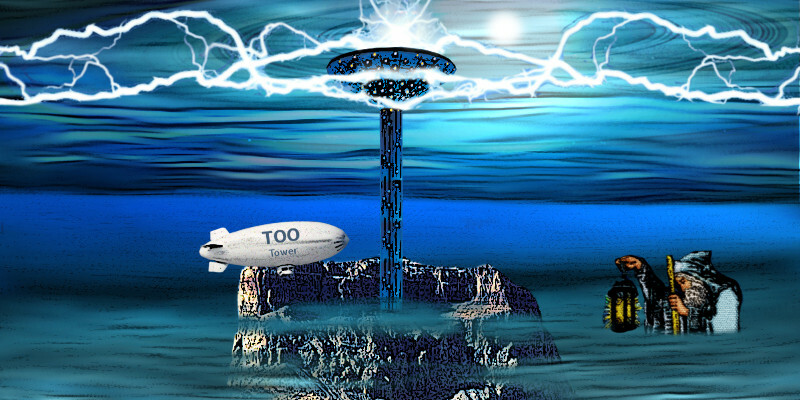 TOO Tower (tower of objectivity): TOO tower helps to transform your spiritual knowledge into wisdom by helping you to apply it in your life objectively. Knowledge will not forge into wisdom without practical application, and here you can help to put some of this knowledge to work in your life. This place will also help to stabilize your spiritual ideas so they make sense. Many strange things you have learned on your journey, and some of these things may not seem to fit or make sense. Ride living "Blimp of Objectivity" in TOO Tower to gain spiritual perspective! TOC Tower (tower of creativity): TOC stands for “Tower of Creativity.” TOC tower sets your creativity to a new higher level. If you need to spiritualize yourself creatively or draw in some more inspiration, this place may help. Creativity and playful fun are the way the universe gets things done, and it is how you should be getting things done as well. If you find some task burdensome or boring come here and let this put the spiritual spark of creativity back into it. 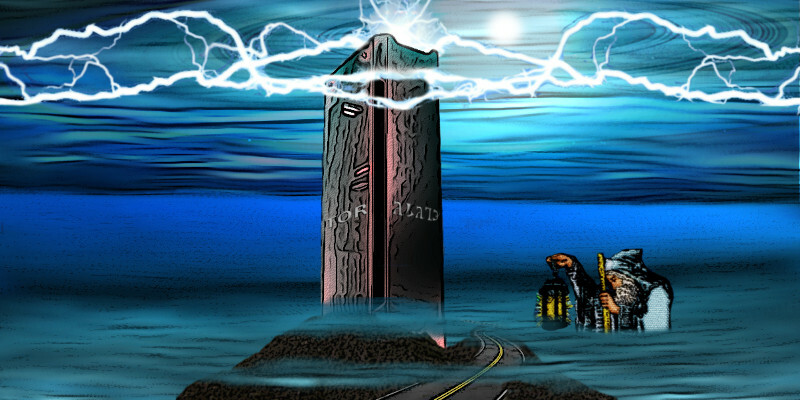 Ratziel Palace: Visit here to have an audience with Ratziel the Archangel of energy and life force. To get here the first time you will need to travel to the top of one of the other towers and get on the Vovin Eagle. He will take you to the palace. Ratziel can appear in many forms. He has appeared as a Knight, a being made of energy and light, and dressed like the character Tron from the movie. Ratziel is very wize and most of his lessons are about transfomring yourself to a higher level. Ride the VOVIN Eagle to the other towers, once you reach the top of one of the towers. rutilated quartz and Aqua Aura Quartz are very good stones to help tune into the Chokmah energies. Crossing into Kether via the Gateways (Abyss).